PROJECT DESCRIPTION: This was a semester long individual project. 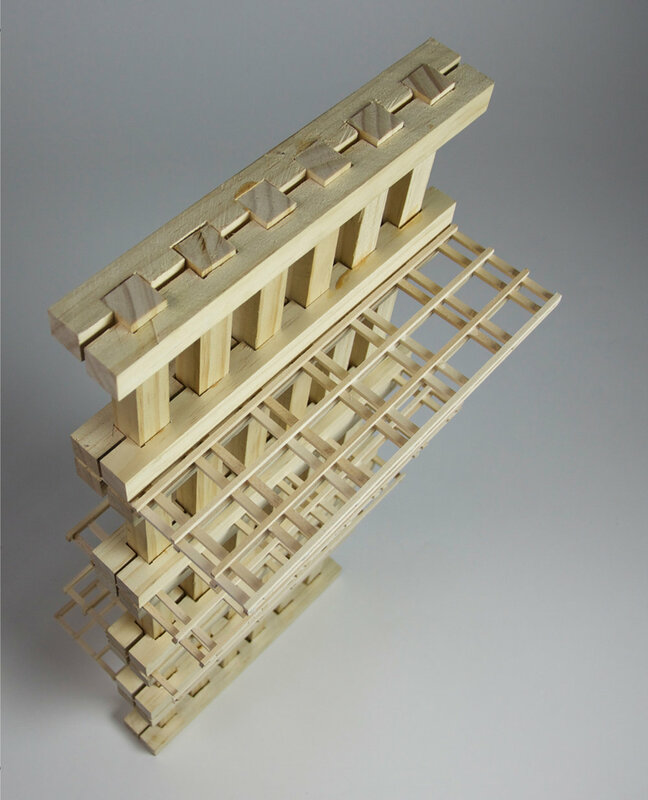 The assignment was to analyze both an assigned architecture precedent (a plant nursery) and a house (Hemeroscopium House, Ensamble Studios 2008) through architecture models and drawings. Then both analyses were combined to create a family cemetery. The surrounding site was to be modified according to the tectonics of the family cemetery. 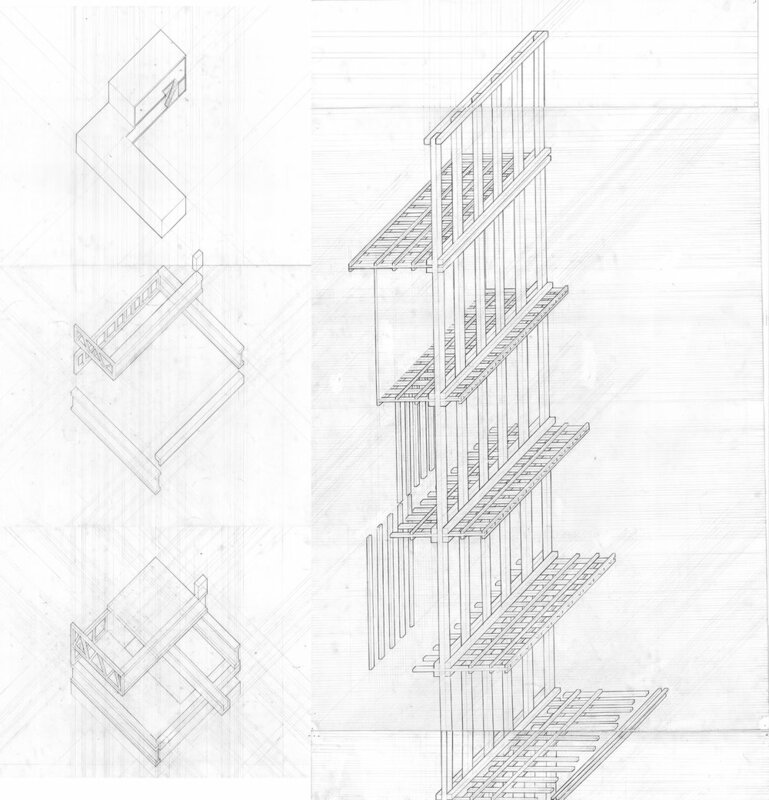 For the analysis of the plant nursery, I focused on exploring the hierarchy of grids within the shelving and storage units through model and drawing. For the analysis of the hemeroscopium house, I focused on solids and voids through drawing. My final project, the Gridded Necropolis incorporated both of these ideas into both its structure and site. I created this model to play around with the different shelving hierarchies within plant nurseries. Since the hemeroscopium house plays with equilibrium and has a cornerstone holding the whole building together, I created a model with similar properties. When the top piece of the model is removed, the model collapses. On the left, an exploded isometric of the hemeroscopium house analyzing the pattern of solids and voids. On the right, an exploded isometric exploring the shelving in a plant nursery. Both analyses were combined to create this family cemetery. The site itself was carved out according to the same grid hierarchy, with tombs underneath in the same stepping pattern.